The SpinOlution 64 oz is the largest bobbin size in the industry. It can fit over 4 pounds of worsted weight single. 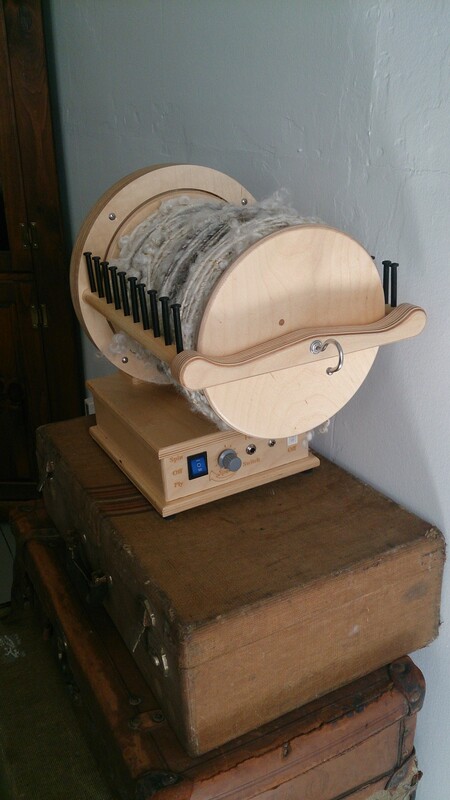 It was originally designed for the Firefly, as a production unit for spinning and plying bulk quantities of yarn. It also fits the Monarch - although most spinners prefer using the electric Firefly base to power the momentum, rather than treadling this workhorse manually. This setup is great for the fiber artist who wants all the yardage they could ever dream of. It is perfect for making huge art yarn and bulky skeins, but engineered to spin fine yarns as well. NOTE: drive bands are not included with flyer head purchases and will need to be added to your order. Can the 64 oz be substituted in a package deal? Not at this time. If you already own a Firefly or MACH III you can purchase just the 64 oz upgrade. If you do not own a SpinOlution wheel, you can purchase a Firefly Base or a MACH III Base with the 64 oz Upgrade to build your own custom wheel. What types of yarn can I spin on the 64 oz? 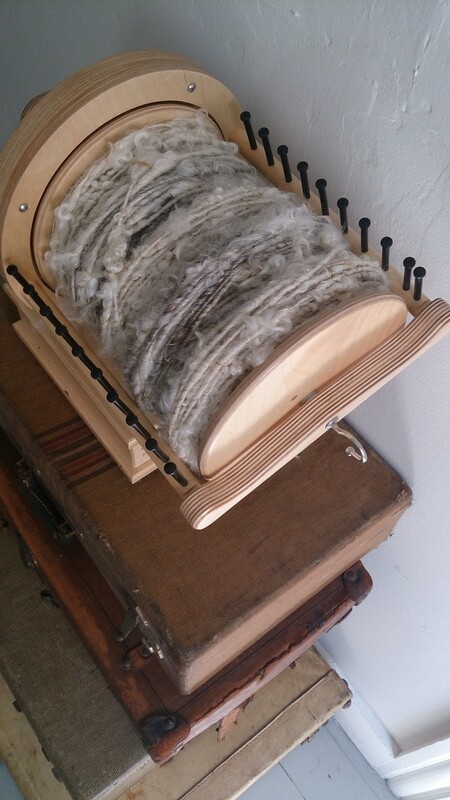 Our test spinners were able to spin worsted to super bulky. Due to the high tension required to pull heavier yarns onto the bobbin, this setup is not appropriate for spinning fine weight yarns. This is the only setup size in our collection that is not able to spin all weights of yarn. What is the momentum like on this upgrade? Powerful. This wheel does not stop on a dime, like our other wheels. It is so heavy that the momentum it has is perfect for spinning large quantities of single or plying with thread. But it is not designed for stop-and-start fine tune or embellished work. How is the 64 oz made? The 64 oz is handcrafted by Mike Pauly in his shop in Washington and shipped from Washington. Due to the weight, it must be perfectly balanced by hand in order to function properly.